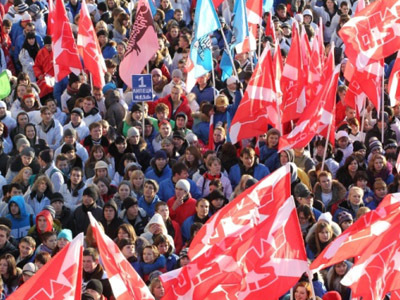 Pro-Kremlin youth groups Nashi and Stal will put 20,000 activists on the Moscow streets on March 4 to counter possible attempts by the opposition to “destabilize” the situation on the day of Russia’s presidential election. ­Throughout the week following the vote, several thousands of Nashi activists will be monitoring the capital’s streets and squares round-the-clock “to prevent possible provocations,” the movement’s press-service reports. 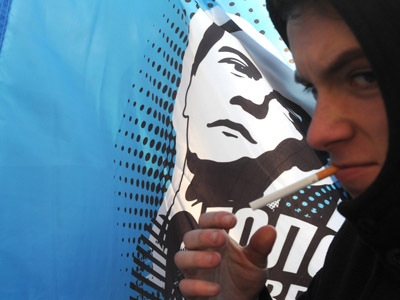 Maria Kislitsyna, a Nashi organizer, stated the movement would not sit by and “twiddle their thumbs” in case the opposition and their “foreign sponsors” violate Russian law. She vowed that Nashi will respond to provocations, just as they did following December’s State Duma poll, when protesters staged an unsanctioned rally in Moscow’s Triumfalnaya Square. 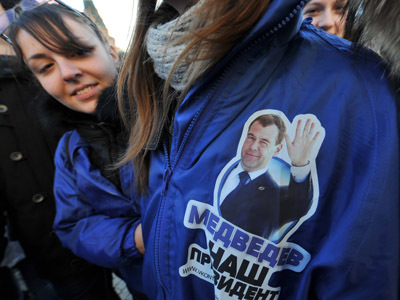 Back then, the Kremlin supporters held their own meeting, which they say outnumbered that of the protesters against the poll results. “We are ready to gather in Moscow tens of thousands of our supporters who will protect the choice Russians make during the democratic voting,” Kislitsyna stressed. So far, the movement has not confirmed whether the actions they plan have been sanctioned by the city authorities, and whether they are in keeping with the law that prohibits any kind of campaigning on election day.